Seen by millions worldwide, Real Bodies The Exhibition presents a stunning display of more than 20 real, perfectly preserved human bodies and over 200 anatomical specimens, inviting visitors of all ages to examine the human experience from the first breath to the last in a dramatic and moving display. What are we made of? Where do we come from? Why are we here? Digging deeper into the beauty of the body, mind and soul than any other exhibition of its kind, Real Bodies The Exhibition invites visitors to discover the elegance, complexity, and mystery of their own bodies as they examine the unbelievable anatomical systems that comprise human life. 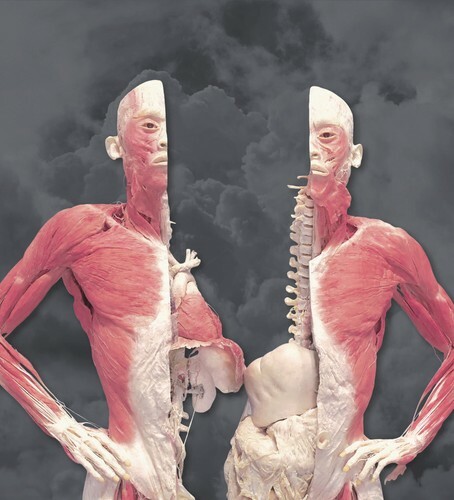 Beyond the fascinating realities of the human physical form, Real Bodies The Exhibition also presents the historical, cultural, and emotional context of the human body—inspiring a sense of wonder and awe at the ways in which all humans experience their time on this earth. Real Bodies The Exhibition opens for a limited time on 14 April at the Entertainment Quarter. Sellouts expected, advance tickets available at the website.